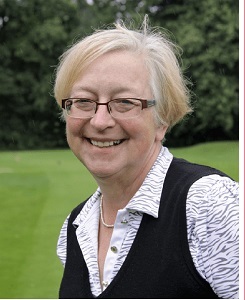 Cheadle Golf Club’s Judith Sandford is delighted and so pleased for her club that she has been nominated for the England Golf’s Volunteer of the Year award that will be decided at the Awards Evening in London in March. Judith used ‘Get into Golf’ to give a new lease of life to the ladies’ section at Cheadle Golf Club. Judith got together with the club’s professional to launch Get into Golf beginner lessons and create a pathway into membership for the new golfers, working with a new group of beginners every six months. Jacquie Popplewell, the 2019/20 Lady Captain was a member of Judith’s first beginner group.